We’d like to think we know a thing or two about abundance and joy at The Kitchen, but what about this tradition of drinking Champagne for New Year’s and other celebratory events? How did it get its fashionable and ubiquitous status as a symbol of luxury, refinement and joie de vivre? Long before we “commoners” began drinking it, European royalty and aristocrats were enjoying Champagne all for themselves, as it was far too expensive for anyone else. They began drinking it at court to commemorate special occasions. It was, as you could probably guess, the drink of choice for Louis XIV and other famous Louis, and was considered quite a status symbol. And why the Champagne region, then, you ask? What makes it so special? Well, even though the process that converts still wine into effervescent sparkling wine was happening in other wine making regions long ago as well,, the French region of Champagne had the advantage of being in the north of France and also was situated along rivers that served as major shipping highways. So, geographically speaking, it was easy to get the Champagne region’s product to courts in Paris, England and Holland, where they set the trends. Then, at the end of the 17th century, the French monk Dom Perignon, for whom the infamous sparkling wine is named, revolutionized the “industry”, as it were, by perfecting his abbey’s vineyards and wines. 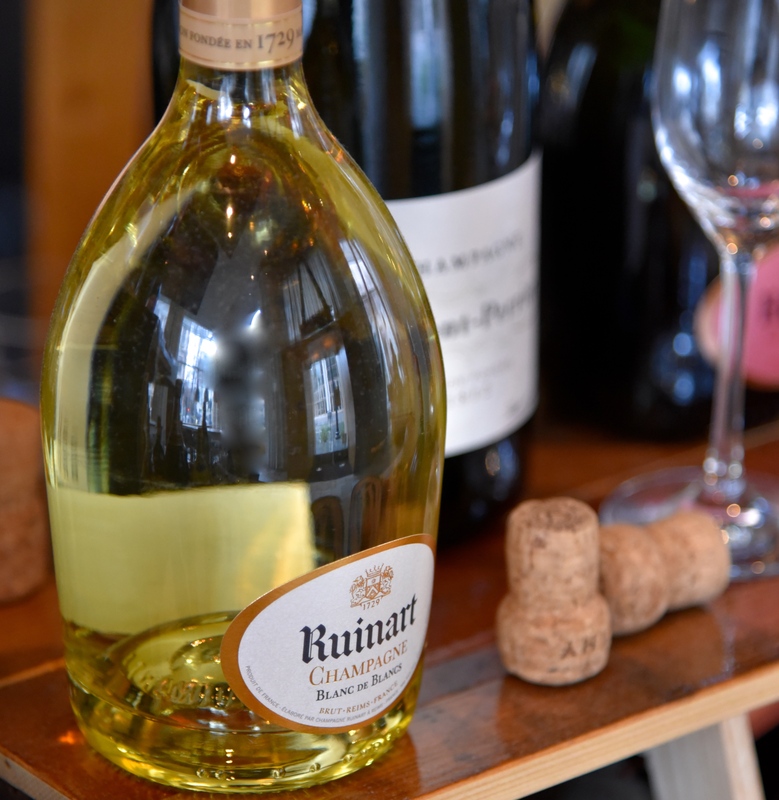 A Champagne lover, he famously said that partaking of it was like “drinking the stars.” He also packaged the liquid stars in thicker glass bottles to prevent the common problem of exploding glass, and introduced the cork stopper secured with string to keep it in place better. These updates and changes, along with its fortuitous geography, allowed the Champagne region to quickly begin to market their product even more widely to aristocratic and royal consumers in France, Europe, and even the US. Subsequently, many local merchants took up the task, even switching from other local commodities like wool and cloth to focus on Champagne. So, the royals had a near monopoly on the consumption of Champagne for a couple of centuries. But times change, as they do. After the French revolution, when the public could engage in more secular rituals, they began using Champagne to “christen” a ship, for example, instead of having to use a Priest and the traditional Holy Water. Champagne apparently made a quite suitable substitute! Then, with the advent of industrialization, the royalty no longer had ownership of all the wealth, and at the same time the price of Champagne was declining. 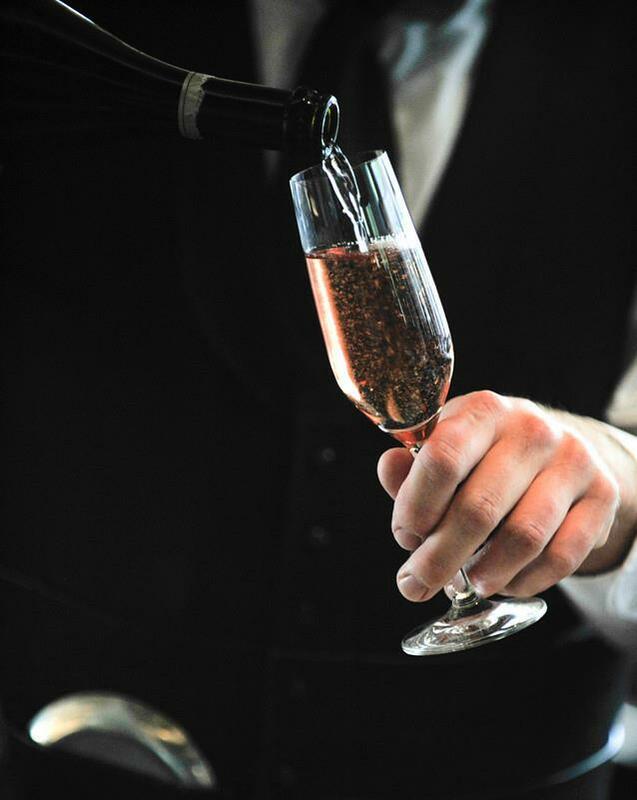 Producers began marketing to “common folk” in the 1800’s, using Champagne’s long association with nobility and its festive connotations as selling points. The marketing worked! The new Champagne drinkers on the Continent and in America may not have been able to afford to drink it daily, but they could buy it for special occasions. And when production boomed from 300,000 to 20 million bottles per year during the early part of the 19th century, Champagne began to be ordered more and more worldwide for ship christenings and New Year’s celebrations. Champagne has clearly retained its status as the wine choice of celebrations, especially for New Year’s, but luckily it has become more affordable. You can get a bottle of true French Champagne priced in the $30-$40 range retail now, and of course you can go well into the $100’s or $1000’s if you want to splurge. At The Kitchen this year, we’ll be toasting with a glass or two of some of our favorites. If you’re joining us, consider one of these staff picks from our Sommelier Amitesh Diyal. And if you’re staying home, be sure to grab a bottle of the liquid stars – there’s something for every budget – at our sister restaurant Selland’s, where we sell Champagne, sparkling wine, still wine, and beer by the bottle at retail. Delicious on its own or as an aperitif, this versatile Blanc de Blancs from California pairs especially nicely with oysters and other shellfish. Considered the founder of how multiple vintage wines are held back, then blended, to produce a more consistent “house style”. A pioneer and leader in champagne. Aged for ten years on the lees. The house does not make this every year…in fact…they don’t make it most years. It’s a unicorn…a delicious, rare, and beautiful unicorn.